Kevin will be offering an intimate fiddle workshop on Sunday, January 20 at 1 pm in Santa Fe. The workshop is limited to 15 people. Since space is limited, the workshop is only available to people attending one of the concerts. 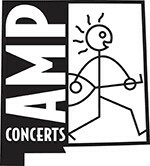 Workshop & Concert Ticket packages are available for $65 (including all service charges). You can buy them with the Santa Fe show too. 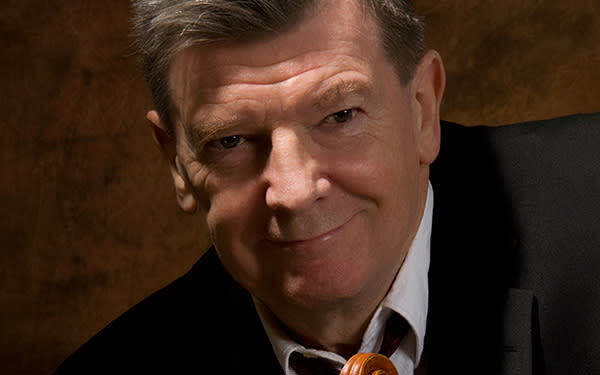 Kevin Burke's fiddle playing has been at the forefront of traditional music since the 1970s. His far-reaching solo album, If​ ​the​ ​Cap​ ​Fits,​ ​and his work with such distinguished performers as Arlo​ ​Guthrie​, Kate​ ​Bush​, Christy​ ​Moore​ and the Bothy Band​ ​established him as a first class musician. Never one to be restricted by geography or genre, his decades-long career has seen several innovative collaborations with notable musicians of differing styles—Classical, Old Time, Bluegrass, Pop and Rock, as well as the Irish traditional music for which he is so well known. Kevin has earned international acclaim in both Europe and America as a solo performer, a teacher and as a member of some of folk music's foremost groups, including the exciting Celtic​ ​Fiddle​ ​Festival​ ​and Ireland's long admired and respected Patrick​ ​Street​. In 2007 he also set up his own record label, Loftus​ ​Music​, which soon developed a reputation for excellence in both its musical output and its unique eco-friendly packaging. 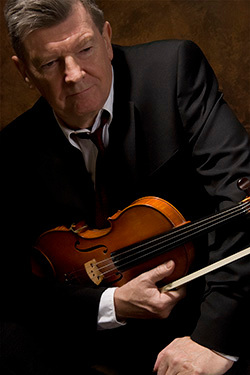 His contribution to music has received formal acknowledgement on both sides of the Atlantic where he has been the recipient of several awards including Ireland's Gradam​ ​Ceoil (Traditional Musician of the Year, 2016), and a National​ ​Heritage Fellowship​, the USA's highest honor for excellence in the folk and traditional arts. Kevin has also been honored by his adopted home state with his induction to the Oregon​ ​Music​ ​Hall​ ​of​ ​Fame​.